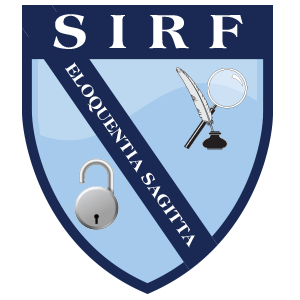 The Southern Investigative Reporting Foundation formed in 2012 with the goal of providing in-depth financial investigative reporting for the common good. We believe investigative journalism is a critical tool for ensuring corporate accountability. The massive decline in the resources available to many news organizations in recent years have too often forced investigative reporting projects at established papers and magazines to be sharply curtailed or eliminated. This loss falls especially hard on business journalism, where the wholesale departure of a generation of experienced editors and reporters–often deeply versed in the technicalities of accounting, finance and the broader capital markets–removed an important civic guardrail for consumer and shareholder protection. Our foundation produces substantive investigative reporting without fear or favor. These investigations bring to life important stories that are going untold, illuminating the many ways investors, consumers and market stakeholders are regularly misled. We accomplish this through carefully mining corporate legal and financial filings–such as a skillfully buried footnote inside a quarterly report, or an overlooked exhibit in a forgotten legal claim–which, when coupled with ample shoe leather reporting, presents the clearest possible picture of our subject. The hallmark of the foundation’s reporting is a commitment to accuracy, the breadth of our news gathering and the clarity of our presentation. In doing this work, our goal is to conduct the foundation’s business to meet or exceed the highest standards of non-proﬁt governance and ethical journalism. To that end, apart from truth and increased knowledge, our work will be free of agenda. The completed investigations are published free of charge, without advertisements or sponsors. We are funded solely through the tax-deductible contributions of individual donors and foundations, none of whom derive any professional or economic benefit from this support. No one, apart from the foundation’s employees and our legal advisors, has any input to editorial decisions. The foundation’s employees, directors and advisors will never benefit financially from the price movements in the securities or derivatives of companies mentioned in our journalism. A former senior reporter at the Atlanta Journal Constitution and Bloomberg News and the author of many books on journalism, Christopher Roush serves as the director of the business journalism program at the University of North Carolina at Chapel Hill. The author of three best-selling books exposing the inner workings of Wall Street’s highest-profile firms, The Last Tycoons, House of Cards and Money and Power, William D. Cohan is a former investment banker who frequently contributes to the New York Times and is a contributing editor for Vanity Fair. The Huffington Post named Roderick Boyd one of the 25 most feared financial reporters in America. His book about the near collapse of AIG, Fatal Risk, was long listed for 2011’s Financial Times and Goldman Sachs Business Book of the Year. A former staffer at Fortune, the New York Post, The New York Sun and Institutional Investor News, Boyd founded and edited The Financial Investigator blog. In addition to teaching investigative reporting at the University of North Carolina (Chapel Hill), he regularly leads seminars at Investigative Reporters and Editors conferences on Financial Statement Analysis and Fraud Detection. His work has prompted numerous regulatory, civil and criminal actions. Bethany McLean is a contributing editor of Vanity Fair, Yahoo! Finance and a former Fortune magazine editor. She is co-author of two best-selling books on corporate fraud, All the Devils Are Here and Enron: The Smartest Guys in the Room, which served as the basis for an Academy Award-nominated ﬁlm. Why should I give to SIRF? The foundation argues that the disparity in information access between corporate executives and professional investors on the one hand, and the general public on the other, is one of the larger (and least understood) inequalities in American civic life. Bridging this chasm is worth doing but is not cheap. This reporting is the result of the investment of thousands of dollars: salary, editing, legal vetting, some travel and, (hopefully), art. The resulting journalism is a public resource designed to stand apart from both Wall Street’s marketing colossus and a media that is often unable or unwilling to force these institutions to account. What is the Southern Investigative Reporting Foundation doing that my local paper, or the New York Times, isn’t? Your local paper is no doubt staffed by earnest and hard working journalism professionals but the world they operate in has changed massively over the past 10 years. For example, most local newspapers have, because of the newspaper industry’s brutal contraction, been forced to drop or sharply curtail complex and longer-form reporting. Add in the inherent complexity of business journalism, as well as the richly-funded legal and public relations efforts so many corporations use to burnish their image, and you get to a place where in-depth reporting on capital markets issuers is at an all-time low. What about the other investigative reporting non-profits? Other tax-exempt organizations do investigative reporting, most prominently among them Pro Publica, The Center for Public Integrity, The Marshall Project and The Center for Investigative Reporting, among many others. Our professional admiration and respect for all of these efforts, large or small, is immense, and given the numerous Pulitzer Prizes awarded nonprofit newsrooms, the importance of independent journalism is not subject to dispute. That said, the foundation’s reporting is entirely focused on the capital markets, and is not just a one-time investigation or a beat within a larger operation. This is all we do and we think that our experience and commitment shows. How do stories get generated? If you guys are trying to be transparent, why don’t you disclose that you might get tips from a short-seller or company critics? Good business reporting can emerge from many different scenarios. An idea may well come from someone whose agenda is wholly at odds with a company’s management and many of its institutional investors. Examples of these include short-sellers, whistle blowers, perhaps a disgruntled employee or early-stage investor. Just as often, however, these stories have developed simply from our curiosity in a topic. Whatever the tipper’s agenda is, our reporting process is quite effective at neutralizing it. Because it’s what happens after the tip comes in–what we do prior to the decision to pursue a story–is what separates the foundation’s process from other news organizations. The willingness to spend a great deal of time and money to verify a source’s information ultimately strips away narrow agendas like profit motive or personal animosity. What is different about SIRF’s approach to reporting? Good reporting is hard work, bordering on obsession. We make no claim to having the franchise for it, but we do think we do more of it, line for line, than most other journalism outlets. For instance, we really, really closely scrutinize documents, build detailed spreadsheets, search footnotes and seek out–and pay–experts to flesh out what something really means. We think this single-minded approach is increasingly rare these days given the huge workloads and time constraints investigative reporters in the mainstream media are under. For every story we publish we’ve likely looked into a dozen more and dropped them, because we believe in accountability, not fitting the facts into a handy narrative. While we’re at it, in so far as we can, we will leave the overtly political slant to others. Investigative reporting that amplifies a group’s policy views is a truly unfortunate development and one we seek to avoid. The foundation is committed to the highest standards in the practice of investigative reporting, such as giving the subjects of our reporting every chance to participate in the story. In addition we provide our subjects with a detailed list of what has informed our reporting, prominently displaying the questions asked alongside their answers. No subject of our reporting is going to be surprised by what they read, though they may well be unhappy. What is SIRF’s business model? That’s easy: there is none. We are wholly reader supported and do not accept advertising; none of our reporting is sponsored or underwritten. Institutionally, we are organized as a nonprofit that in 2013 obtained tax-exempt status under Internal Revenue Service section 501(c)3. The foundation is a member of the Institute for Nonprofit News, a non-profit founded in 2009 to assist independent investigative news organizations with their logistical, operational and business development issues.